Average Retirement Savings: What's Right For You? It doesn’t matter how much money you’re making right now if you don’t put any of it away for retirement. Average retirement savings show that most Americans are about to find out the hard way that they have not saved enough for retirement… not by a long shot. The average median working age couple only has $5,000 saved for retirement. That likely wouldn’t even cover unexpected medical expenses, much less twenty to thirty years of retirement expenses. Conventional recommendations say that people in their 30s should have savings equal to their annual salary, those in their 40s should have three times their salary, 50s four to five times, and those in their 60s should have saved six times their annual salary for retirement. According to the numbers, that’s just not happening in today’s America. The country is looking at an upcoming period where the average retirement savings is not going to sustain citizens throughout their entire retirement. Since public pensions are nearly unheard of in this day and age, the retirement forecast is bleak. Yes, the retirement crisis in America is indeed very real. The common mindset going into retirement is that Social Security is the end-all be-all for retirement planning. Some plan to use Social Security as a safety net, while others plan to rely on it exclusively for their retirement income. However, neither option is particularly wise. In 2014, Social Security provided an average of 35 percent of the necessary income for those 65 and older, according to a report by economist Monique Morrissey. Another problem with Social Security is that according to many government officials, the Social Security Trust Fund may run dry by 2037. When the reserves are used up, continuing taxes are expected to be enough to pay only 76 percent of scheduled benefits. Therefore, Social Security reform is not a can that should be kicked down the road any longer. In its current form, Social Security does not pay enough to sustain most Americans in retirement. If those benefits are cut even further, that spells real trouble for retirees. 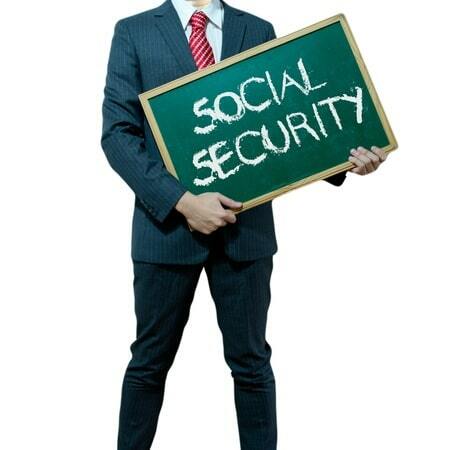 RELATED >> Will Social Security Be Around When I Retire? We’ve established that Social Security only goes so far, so now let’s take a look at some of the alternatives. The two main types of IRA accounts are the Roth IRA and the Traditional IRA. They’re both retirement accounts that act as a sort of “box” to hold stocks, bonds, mutual funds and similar assets. Traditional IRA accounts offer tax deductions on the funds you contribute, but not on the funds withdrawn and the earnings incurred over time. Withdrawals from traditional IRA accounts are taxable. The money in a traditional IRA is also not available without penalty until you turn 59 1/2. A Roth IRA consists of only after-tax contributions, but the earnings and withdrawals are tax-free. You’re also allowed to withdraw without penalty before 59 1/2 years of age. A 401(k) functions much like a traditional IRA, except your employer sometimes matches your contributions. It’s the typical American retirement account. Stipulations exist that make your employer’s contributions accessible only after a certain period of time. All contributions are also before taxes, with tax applied upon withdrawals. There are limits on total contributions per year, and a contracted company usually handles investments. 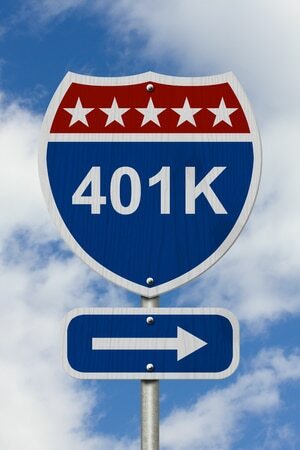 If your company offers a 401(k) plan, it is wise to participate, especially if your employer matches contributions. Fixed index annuities are a good choice for those who would like a guaranteed income stream during retirement. 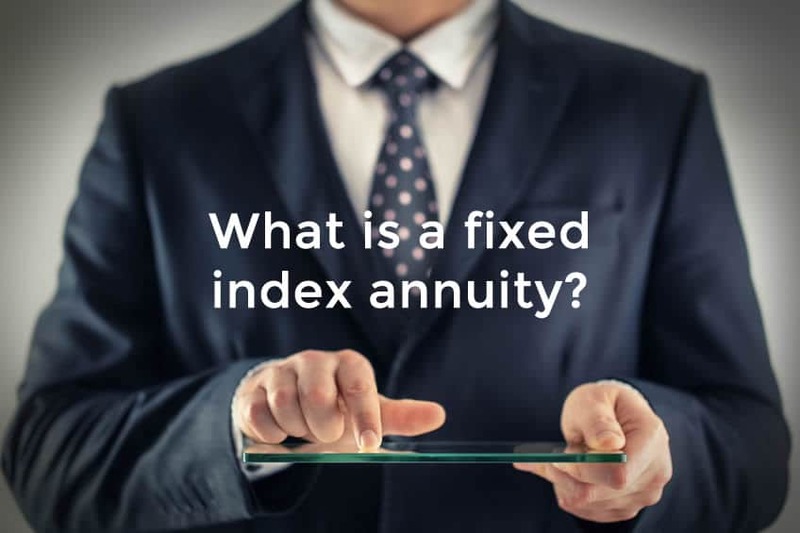 A fixed index annuity is basically a contract between you and an insurance company in which you pay a premium in return for regular payments over a period of time. A fixed index annuity is a hybrid annuity product that takes the best of what the other types of annuities have to offer while eliminating the less desirable features. It is a product that earns a fixed interest rate over a fixed term with a principal guarantee, while also allowing for participation in stock market gains. In this way, your money is guaranteed to earn interest, while also being sheltered from market volatility. Therefore your principal is 100% protected against stock market losses which is something that can’t be said of IRAs and 401(k)s. Who can forget the stock market crash of 2008 during which the major financial markets lost more than 30% of their value? Another unique feature that sets fixed index annuities apart from IRAs and 401(k)s is that you can make unlimited contributions to your FIA. A Roth IRA has a standard contribution limit of $5,500 or for those 50 and older, the “catch-up” limit is $6,500 annually. The limit on employee elective deferrals for 401(k) plans is $18,000 annually. FIAs are also valuable in that they can offer a guaranteed lifetime income, with a beneficiary. This means you’re allowed to designate someone to receive the rest of your payout in the event of your death. A fixed index annuity makes for a nice compliment to any other retirement account you may have, Social Security included. 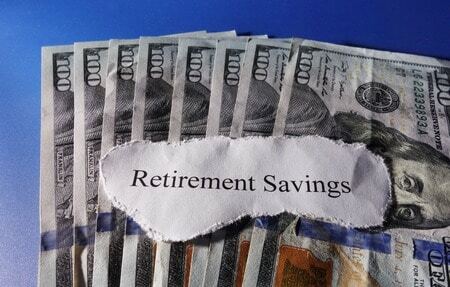 Saving for retirement is one of the most important and often overlooked requirements of life. Start early and contribute as much as possible to maximize the enjoyment of your golden years. Ask any senior you know, and we’ll bet they’ll tell you that they would have started saving earlier if they had a Mulligan. Free consultation appointments are available to discuss your unique financial situation and the best ways to maximize your retirement income streams. Take the worry out of retirement planning and let us help. See why we are one of the trusted names in the annuity world today.